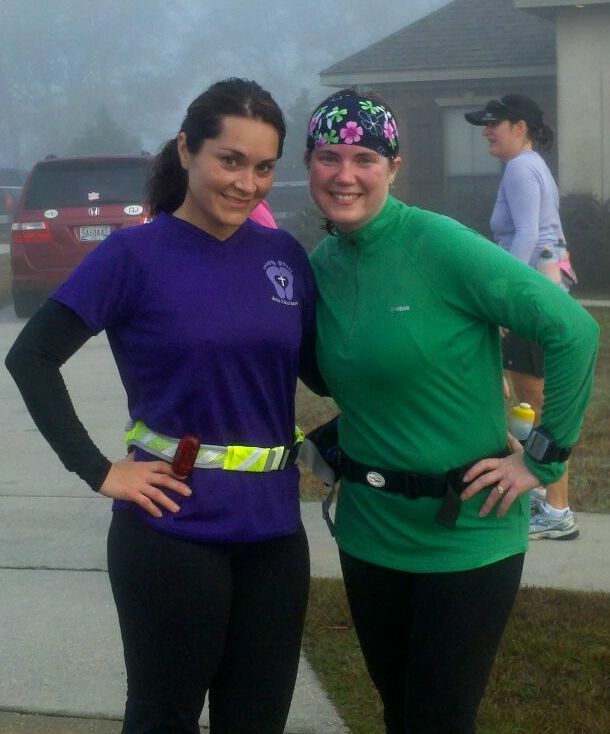 Road Runner Girl: New Year's Eve Run...Marathon Training Week 7!!! 16 MILES!!!! I did it!!! It was super foggy the entire run which was a little scary because we couldn't see traffic very well. But we stayed safe. Felt great the entire run until those last 3 miles which were pretty tough...my legs were just super tired. Just thinking that I will have 10.2 more to go is a little discouraging right now. But as my wise hubby said, "You're just not ready yet...you'll get there." 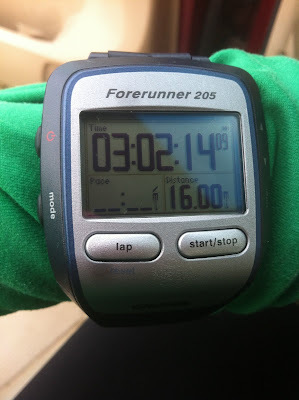 So I am just going to believe that and be happy that I just ran 16 MILES!!!!! Angela and me after 16 miles! It was her first time running 16 too! She did GREAT!!! This puts me at 653 miles for the year! What a great end to 2011!!! Happy New Year y'all!! !